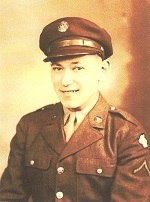 Melvin Fine, 96, of Milford, Michigan, died on 30 March 2019.
on Wednesday, 03 April 2019 at 10:00 AM . Rabbi Joseph Krakoff officiated. Interment at Great Lakes National Cemetery.